Savo Stool: With a comfortable, soft seat. Available upholstered or in pu foam. The Savo Stool allows excellent freedom of movement and is suitable for just sitting every now and then - whether high up or low down. Typical uses are for the staff in nursery school or at a meeting by the coffee machine in the office. 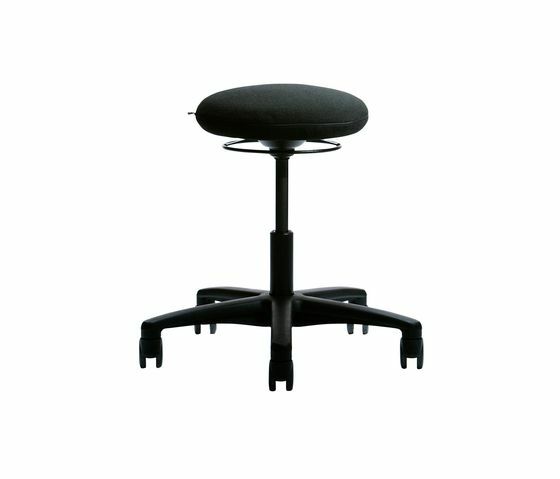 Savo Studio comes with a gas stem that may be normal sized, long or even extra long with footrest. With a comfortable, soft seat. Available upholstered or in pu foam.